The Kingsley Bate Ojai Collection offers a truly unique and casual modern outdoor furniture design. This patio furniture is crafted from hand-woven wicker covering a durable aluminum frame with plush Sunbrella fabric cushions. The furniture pieces offer a relaxed feel, with a slightly low to the ground profile for incredibly comfortable lounging. Enhance your backyard with this one-of-a-kind outdoor seating collection. The Kingsley Bate Ojai Collection offers a truly unique and casual modern outdoor furniture design. This patio furniture is crafted from hand-woven wicker covering a durable aluminum frame. The furniture pieces offer a relaxed feel, with a slightly low to the ground profile for incredibly comfortable lounging. 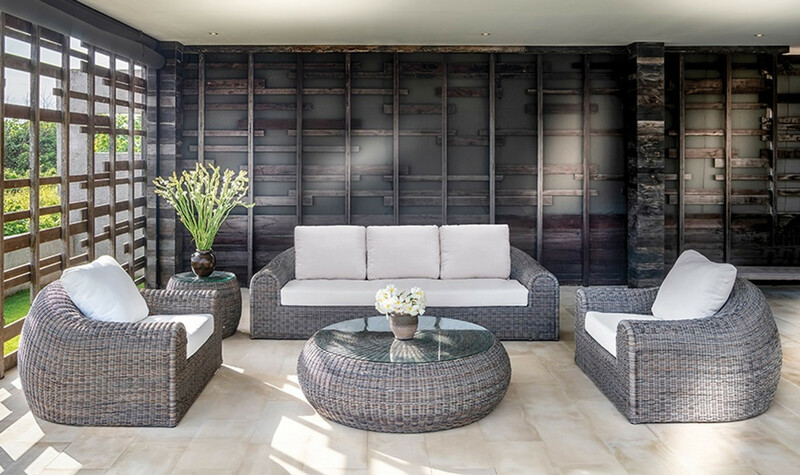 Enhance your backyard with this one-of-a-kind outdoor seating collection.